Saunas are they just full of Hot Air? Sure, both saunas normally made from beautiful wood and they both get hot and make you sweat however that’s where the similarities stop. In a traditional sauna the hot air is created by a stove to heat the air often with water and a few drops of eucalyptus oil added. The temperature of your body increases as the temperature of the air in the sauna increases. The body absorbs the heat and begins its normal response to heat by releasing sweat which is how it tries to cool the body. You may notice that after a session in a normal sauna you come our quite red and flushed this is because when your body tries to cool you down the blood is moved closer to your skins surface which then opens pores through sweating, thus resulting in a more flushed look. 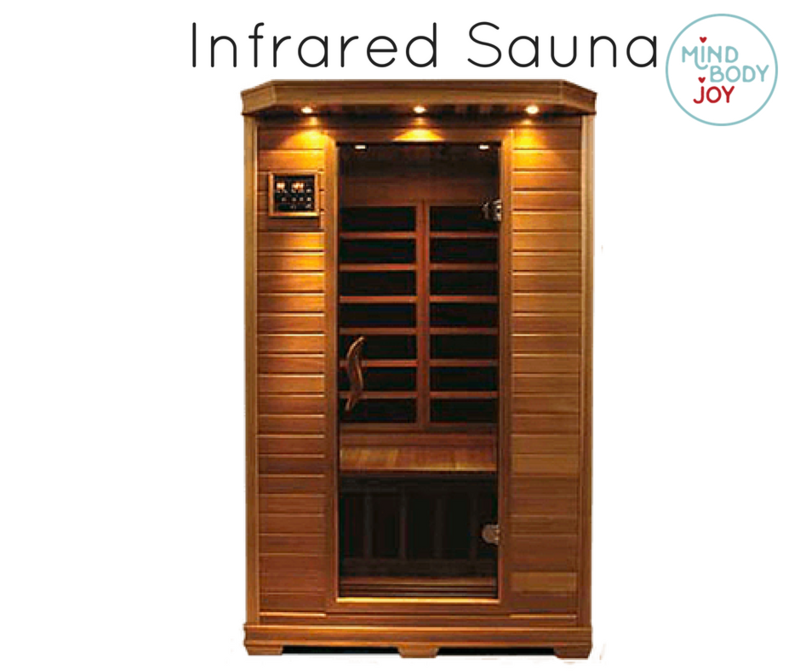 In an Infrared Saunas the heat is created with infrared heaters to emit a specific wavelength of infrared light. These heaters are all around the sauna as opposed to a central stove in a traditional sauna. An infrared sauna heats your body directly without warming the air around you as a traditional sauna does as described above. Infrared light wave is absorbed approximately 3 to 4 cm below the skin surface heating you from the inside out, causing your body’s temperature to rise. While this brings about similar effects as a traditional sauna you use less heat for the same effect. Heat – Furnace or a warm wheat bag? Another key difference is the different feel of the heat traditional saunas sit around the 80°C mark whereas an Infrared Sauna sits anywhere between 50 & 60 °C. An infrared Saunas heat makes it easier to tolerate and less likely for you to feel like you are overheating. Infrared saunas sort of feels like a warm wheat bag hugging you and warming you right through to your bones as opposed to a traditional sauna where you feel like you are being blasted with of hot air from a furnace. • relaxation responses calming the nervous system settings. A Japanese study (2005) found people who used an Infrared Sauna for 15 minutes a day for two weeks had a significant drop in blood pressure, regulate irregular heartbeat, improved scores on fitness tests and improved circulation. • chronic muscle and joint pains. So, as you can see a traditional sauna and an Infrared sauna are actually very different and the benefit of an Infrared sauna far outweigh a traditional sauna both from a health and wellbeing aspect as well as an overall comfort level. “My Infrared Sauna packages are most popular for healing, reducing pain, skin glow and an overall feeling of wellbeing”. When life throws a curveball, Joy Fairhall is the person you want in your corner. Founder of Mind Body Joy, she brings personal insight and professional expertise to help find the positive perspective to overcome and manage a life-changing event.